His campaign ad has been watched millions of times, but Republican Gerald Daugherty's re-election bid is anything but certain. 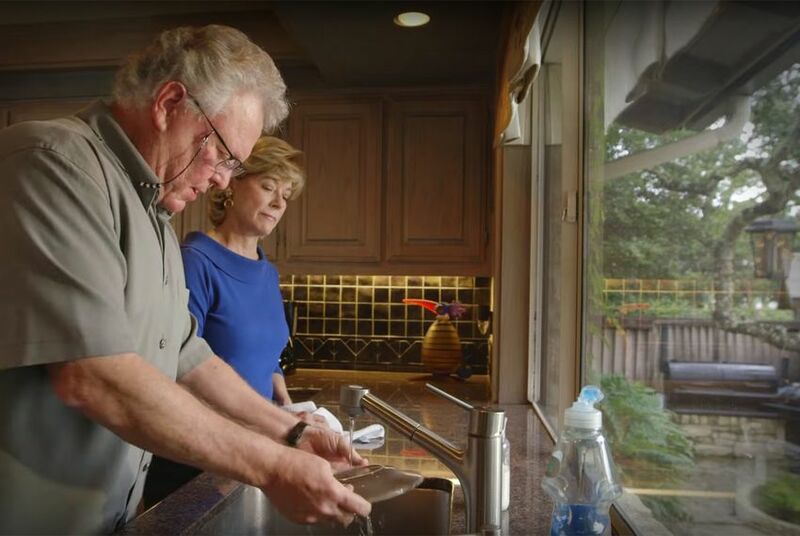 To help his re-election campaign, Republican Travis County Commissioner Gerald Daugherty released an ad last month starring himself and his wife, Charlyn. The humorous ad, in which Charlyn urges voters to re-elect her husband to get him out of the house, was an almost instant viral smash. MSNBC's Joe Scarborough hailed it as the “best campaign ad ever.” As of Wednesday, it sits with 3.5 million views on Youtube and counting. But despite the ad’s near-universal popularity, Daugherty still faces a challenge: getting re-elected in a typically Democratic county amid scrutiny of his party’s presidential nominee, Donald Trump. Following the release of a 2005 clip where Trump is heard speaking lewdly about women, the real estate mogul is seeking to regain his foothold in the typically red Lone Star state. With recent polls finding Trump’s lead in Texas shrinking, some Republicans are worried about the impact on down-ballot races. Daugherty's Precinct 3 in Travis County has historically been a toss-up. In 2002 and 2004, Daugherty won the precinct by a small margin. He then lost the seat to a Democrat in 2008 as an influx of voters in Travis County voted for Barack Obama. After winning the seat back in 2012, Daugherty easily won this year's Republican primary in March with 71 percent of the vote. David Holmes, Daugherty’s Democratic challenger, said he’s hopeful that having Trump at the top of the ballot will help Democrats in races such as his. Chad Crow, Daugherty's campaign consultant who helped produce the ad, acknowledged that the race is still close. Recently, Holmes has made a campaign issue of how Daugherty plans to vote in the presidential race. At a candidate forum in September, Daugherty said he he was “proud to support Donald Trump.” But in an interview Tuesday on Hardball with Chris Matthews, he said he was now an undecided voter. Despite a potential Trump effect, Daugherty still thinks he can win re-election because voters understand that, like his wife says in his ad, he likes getting things done. Even Holmes said he was impressed by Daugherty’s ad — but that he wasn’t sure if its popularity would outweigh Trump’s impact. He noted that the ad could benefit both him and his opponent. Since its release, traffic on his own website and social media have skyrocketed, he said. Texas teachers are finding plenty of lessons for students in the 2016 presidential election, but discussing some of the racier news requires a careful approach. A since-deleted tweet sent from Texas Agriculture Commissioner Sid Miller's account used an obscene term to describe Hillary Clinton. Miller's staff claimed he had been hacked, then apologized for a mistaken retweet. Endangered Republican lawmakers in Texas have strengthened their financial footing with just over a week until Election Day, according to campaign finance reports released Monday.